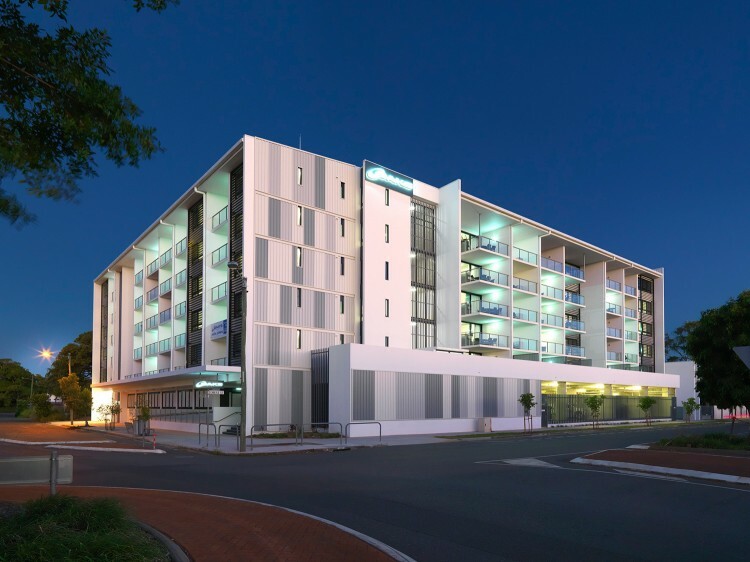 Standing at six storeys high, the 4.5 star Oaks Carlyle occupies a central position on Alfred Street in the heart of Mackay’s city centre; a hub for business, dining and retail. The new-build hotel will offer the choice of 59 contemporary hotel rooms and self-contained one, two and three bedroom apartments – some with dual-key facilities, ideal for families and groups. Each apartment has been designed with comfort and convenience in mind, presenting guests with an urban oasis complete with a modern kitchen, laundry facilities, spacious living and dining area, Wi-Fi access, LED TV with cable channels, iPod dock and private balcony overlooking the CBD or hotel swimming pool and landscaped entertaining area. 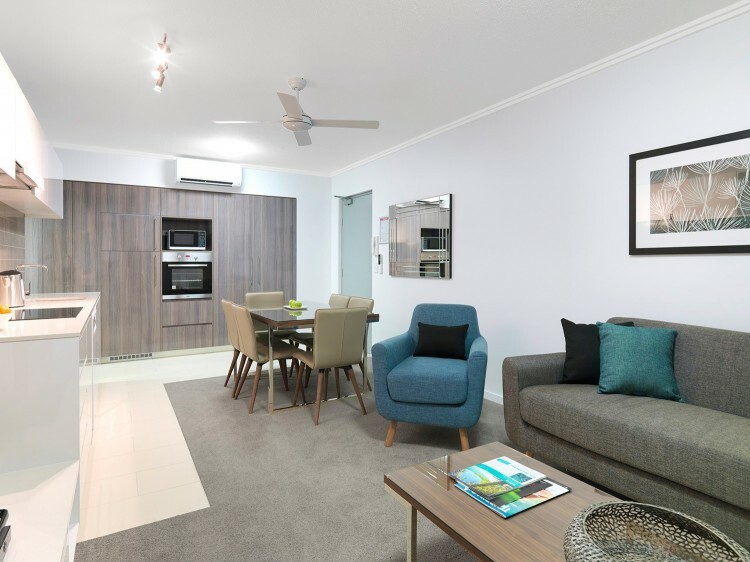 Oaks Carlyle also boasts a recreation room featuring a communal kitchen and lounge area for guests to enjoy, as well as barbeque facilities set amongst the open-air leisure precinct. Undercover car parking is also available for hotel guests. 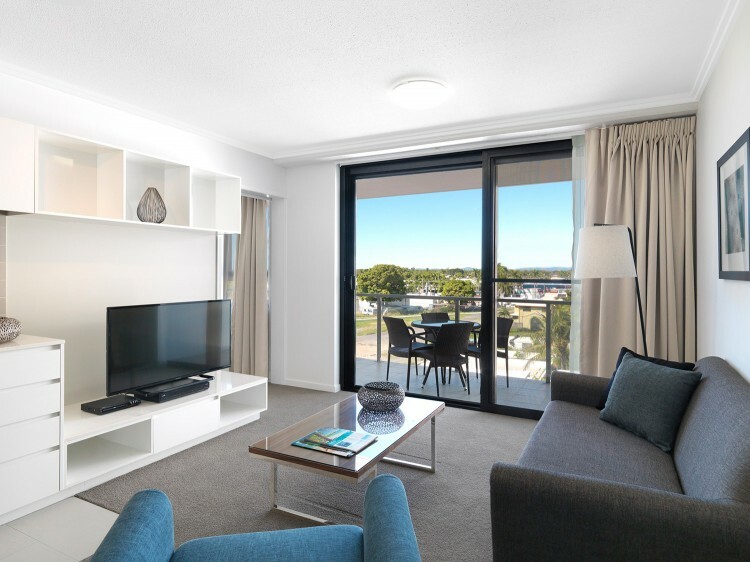 For guests travelling for business, Oaks Carlyle is conveniently located just one kilometre from the Mackay Entertainment and Convention Centre. 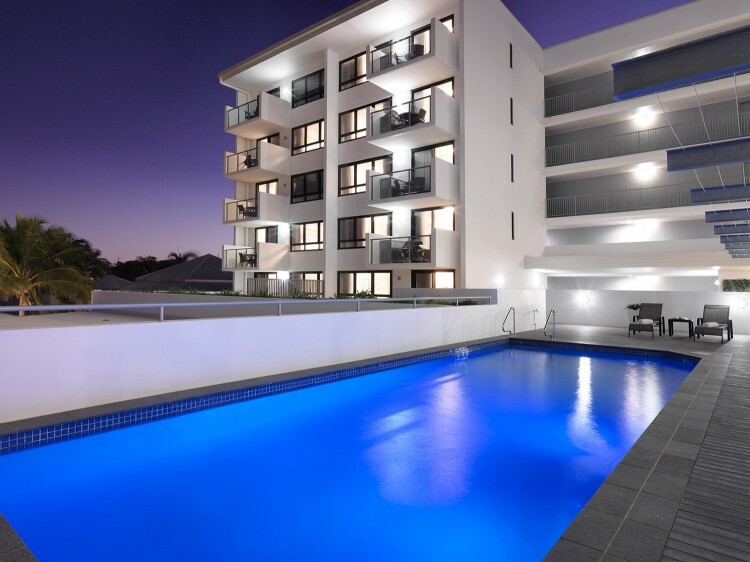 The hotel is also within close proximity of Mackay’s largest shopping centre, Caneland Central, sister property Oaks Rivermarque, and countless restaurants, cafes and bars – many within walking distance. Consists of a Hotel Room and 1 Bedroom Apartment. Consists of a Hotel Room and 2 Bedroom Apartment.